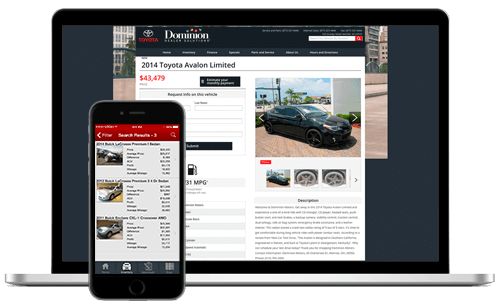 As a Dominion Digital customer, you will receive the utmost support from our Dedicated Performance Team in every aspect of your digital auto advertising strategy. Target customers in every phase of the buying cycle with our Prime 360 package. Get a complete digital advertising solution from one vendor at one price. Prime 360 includes: Search Engine Marketing, Social Advertising, and VIN-level advertising powered by VinVelocity®. Dominion's SEM Specialists are here to exceed your expectations, not your budget. They work to drive targeted traffic to your website that will deliver immediate results. Campaigns within Google, Yahoo, and Bing contain keywords that support specific programs to drive targeted traffic to your website. You can adjust the number of campaign keywords purchased on a monthly basis to fit into your specific budget and SEM strategy. With our detailed reporting, you’ll always know how we’re doing. Uses “deep linking” to usher low funnel web traffic to the most relevant content on your site: your vehicle details pages (VDPs). This strategy removes lead friction and creates an optimal user experience by delivering the VIN-level information consumers are seeking. The result? More conversions from more highly-qualified prospects. 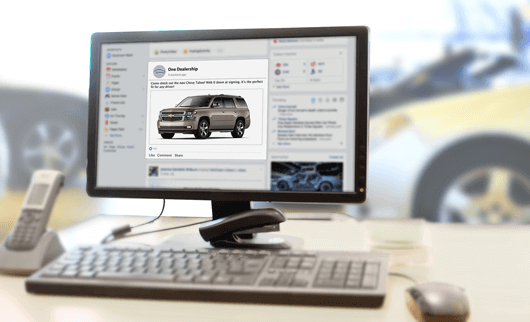 Our automotive advertising strategies for social utilize the hyper-targeting power only Facebook and Instagram can offer to reach shoppers, potential buyers, lost souls, and current customers. 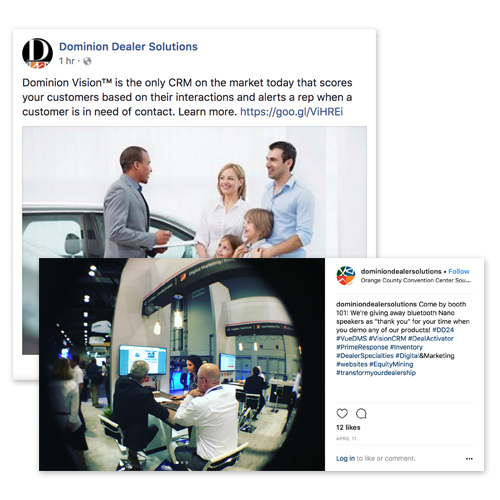 Wherever a customer might be in the buying cycle, Dominion Digital has a customized ad to drive them further down the funnel and into your dealership. Re-engage shoppers who visited your website but didn’t submit a lead. Leverage world-class data to target the shoppers most likely to buy. Target the shoppers that are due for maintenance and fill your service drive. Reach your customers during specific points in their vehicle’s lifecycle. Just looking for someone to manage your social channels? Get help here! Download this infographic to see how other dealers are spending less and generating more engagement with Dominion Prime 360. Read this blog to see how Fuson Automotive saw an 82% increase in website visitors and a 68% increase in page views.